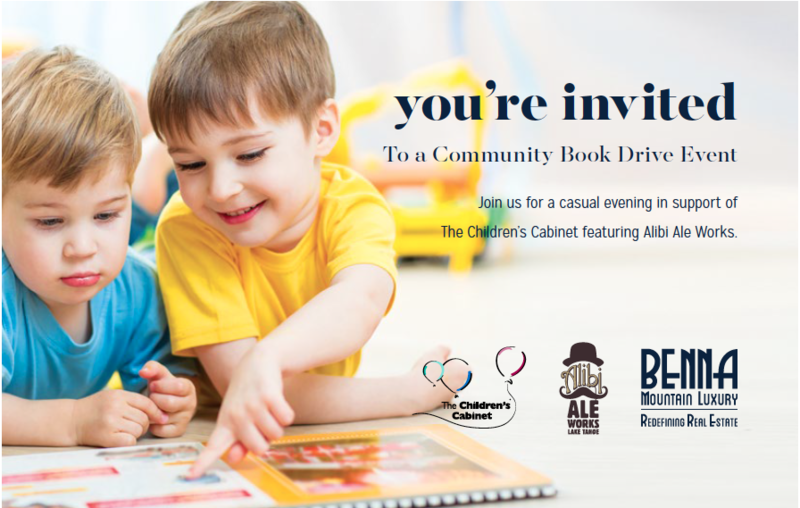 Join us for a casual evening in support of the Children’s Cabinet featuring Alibi Ale Works. On Wednesday, November 7th at the ArrowCreek Clubhouse from 4 to 7pm we will be collecting new and gently used books for ages infant to 5 years and accepting cash donations of any amount (just $3 buys a new book). We will enjoy the incredible selection of beer from one of the top breweries in the region along with light appetizers.